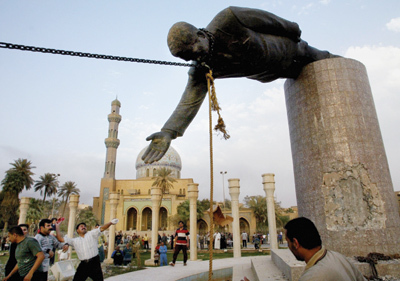 The toppling of Saddam Hussein's statue in Baghdad, 2003 was an iconic image but only the beginning of a difficult transition to democracy. With the historic changes of the Arab Spring many observers have concluded that “people power” has finally begun to triumph over autocratic regimes in a region that had seemed strangely resistant to the waves of democratization that swept over other parts of the world in previous decades. And while there are indeed many hopeful signs throughout the region for those who value democracy, it is worth noting that the road to democracy is often fraught with setbacks and challenges that the pictures of falling statues, cheering crowds, and jubilant voters don’t communicate. Scholars such as Fareed Zakaria have distinguished between electoral democracy and liberalism (the presence of civil liberties that limit the government’s reach). While liberal democracies enjoy both free elections and broad civil liberties, illiberal democracies combine (at least nominally) democratic institutional structures with serious deficiencies in the area of civil liberties. Countries undergoing transitions to democracy sometimes get “stuck” in this halfway zone and find it hard to progress the rest of the way toward full liberal democracy. Consider Russia, a country that began its transition with the collapse of Soviet communism in 1991. It holds regular elections (although the degree to which they are free and fair has come into serious doubt), but as noted in this Freedom House report, individual liberties including freedom of speech, assembly, association, and religion are lacking. America’s recent “democracy projects” in Afghanistan and Iraq have produced nominally democratic regimes that have a very long way to go before they can be called mature democracies. 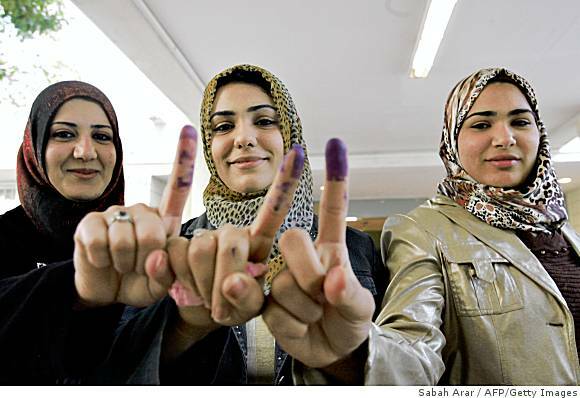 Not only do serious questions persist about the freedom and fairness of elections (particularly in Afghanistan) but basic democratic norms such as respect for minority rights and nonviolent resolution of disputes have not yet permeated these societies. Are Drezner and Ulfelder simply putting a rosy spin on some very harsh realities, or is there reason to be optimistic that freedom will ultimately prevail in countries such as Russia, Iran, and China? What signs are there that the newest revolutions, in Egypt and Tunisia, will result in democracy? What signs are there that these embryonic transitions have already stalled?